And speaking of company. 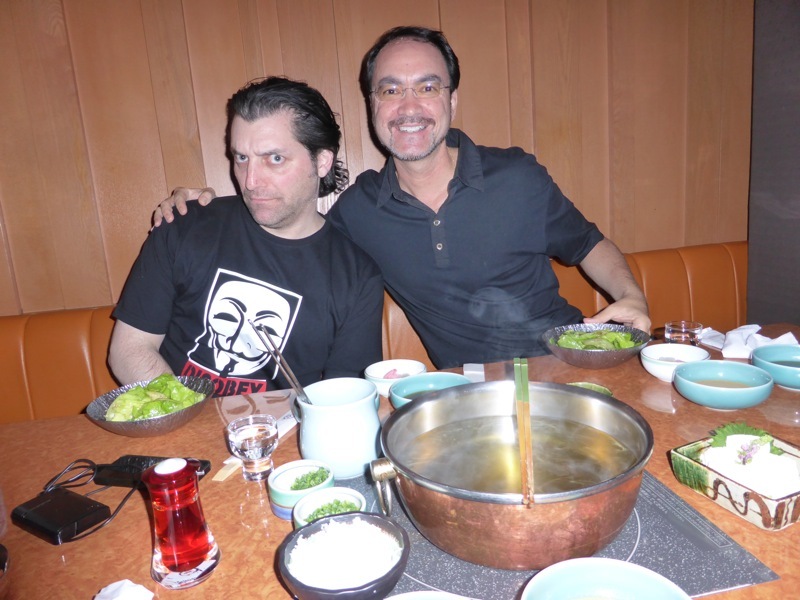 Marc decided he wanted to show us Shabu Shabu. A traditional Japanese delicacy. There is a burner on the center of the table where a pot of broth is heated.